Every planted field, box of eggs and busy allotment at Greenslate Farm is a testament to what a community can do when they have a vision and the drive to make it happen. 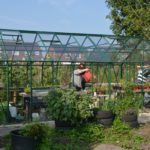 The community farm began in 2013 when a local group, Billinge and Orrell in Transition, took on the lease of an overgrown 17 acre council site outside Wigan . They turned the site into a community farm which now covers some 30 acres. An enthusiastic team of volunteers are transforming the site a viable farm with crops, livestock, a market garden and managed woodland. Many of their volunteers are vulnerable or socially excluded individuals. 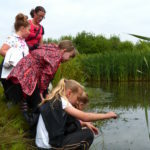 The farm provides a supportive environment for them to grow in confidence and recover a sense of belonging to the community. 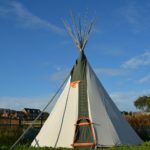 Greenslate includes a care farm, through which a range of therapeutic services are provided for socially excluded adults, many of whom are referred to the farm from local social services and healthcare professionals. 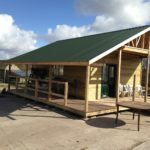 In February 2015, the farm received grant funding for the development of a new straw-bale building that will allow it to extend its training and support services and create a community business hub..